→Octane Review – Scam or legit? Can you Steal Content From the Internet? Octane Review – Scam or legit? Can you Steal Content From the Internet? 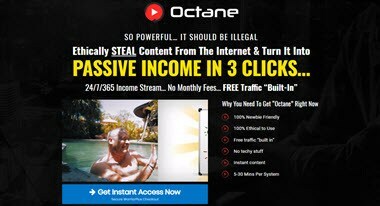 Jono Armstrong has just launched Octane, a new info product that is supposed to help you earn passive income in 3 clicks! 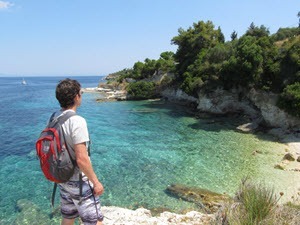 The internet is flooded with internet marketers trying to make the process of earning money online as easy as possible. However, most of them don’t live up to the hype, and some turn out to the flat-out scams! So, is Octane a scam or legit product? Will it help you finally start making real money online? In this review, I am going to expose all I know about Octane and share with you my honest opinion about the strategies proposed by Jono. By the way, if you want to discover the same method that earns me over $1,000 per month from my laptop, check out my #1 recommendation. Jono Armstrong, the co-founder of Octane, is claiming his powerful software can legally steal content from the internet, and quickly turn them into passive income streams. The sales page states that you can achieve fast results (10-30 minutes) without website, traffic or any other tech stuff. What struck me was the possibility of generating free content automatically, which would be perfect for people who love shortcuts. Well, if you follow my blog for some time, you know I am not a big fan of shortcuts, because they are usually ineffective. Octane is mainly a cloud-based application that allows you to quickly create videos by using a compilation of other people’s videos available on Youtube. It was created by Jono-Amstrong and Brandan Mace, two highly experienced internet marketers and top sellers on Warriorplus.com. I have reviewed many of their products in my blog, including Mobilee, From Zero to $100 in 24 Hrs, Paytrix, among others. Octane is currently for sale for $27.97 and has already been sold over 3,000 copies in the first week, which is impressive! It offers an easy way to generate affiliate commissions. Step by step video training available. It suits people who don’t want to have their faces on camera. It’s not as effective as creating your own videos. The sale’s page gives you unrealistic expectations about the method. Don’t expect fast results! In short, the strategy proposed by Octane is called Affiliate marketing, which is a legit and widely used business model. With affiliate marketing, you will earn commissions when people click on your affiliate links and purchase a product that you will be promoting. This business model can be very lucrative if you take advantage of affiliate programs that pay 50%, for example. Now, there are many ways you can go about promoting your links, but Octane’s method is focused on getting free traffic (visitors) from YouTube. 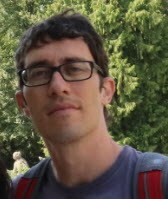 Jono himself build a successful and highly profitable business thanks to YouTube. However, the problem is that many people don’t feel confident enough to show their faces on camera or may think this takes too much work. Well, that’s when Octane App comes in to make things easier for you! Well, that is because it helps you legally copy other people’s content and create a video in a matter of minutes! The first step is to choose for a video either from YouTube or the Octane’s library. You will use Octane’s app to search for it. Now, you may be wondering whether you are not infringing any copyrights by “stealing” other people’s content, and the answer is no. All the videos that Octane show you after a keyword search are using creative commons. Meaning the creators have granted permission for anyone to use their work. Next, you will use Octane’s video editing software to copy a section or multiple sections of the video and bend it into one. You will also be able to insert texts, calls to action, background music, voiceover and even text to speech. It’s a very minimalist and easy-to-use editing tool. Once your video is rendered, you will be able to share it on different social media platforms. Now, what’s unique about Octane is that there is an option to live stream your videos directly on YouTube. According to Jono, and I believe him, videos that are live streamed are considered more relevant by YouTube, which means they are more likely to rank better. Therefore, you can get more traffic and as a result, more affiliate sales. Octane not only provides useful software but also training. How to make money from Clickbank and Amazon affiliate links. This method is easy because you don’t need to ask permission to get your affiliate links. Jono has released a case study where he creates a review of an internet marketing product called Internet Jetset in just 6 minutes. It turns out the review ranked on the first page and generated him $181 in 24 hours. At least that’s what he said! Case Study Pt 2: https://jonoarmstrong1980.wistia.com/. In this video, you are going to learn how to take advantage of JVzoo and Warriorplus launches. Here, Jono explains how you can make money building an email list. Can You Make Money With Octane? Yes, ranking your videos using Octane is possible, so there is money to be made! Octane’s strategy is probably the easiest way to generate affiliate commissions nowadays. However, it’s not always easy to rank well because you are copying youtube videos that already exist and is probably trying to rank for the same keywords. Another problem is regarding conversions. In order to make a commission people need to click on your link and buy the product. The problem is that it’s now always easy to find a good review video that uses creative commons. So, depending on the product you are promoting, you may be limited to poor quality videos that don’t entice people to click on your links to buy. At the end of the day, not every video will rank well and generate commissions, and so you will have to create lots and lots of videos. In my opinion, a dozen of these “copy and paste” videos can be effectively replaced by just 1 review video where you provide your own opinions. By creating your own reviews, you will get more relevance and more trust. If you look at how Jono achieved his success on YouTube, you will realize he didn’t copy people’s videos. He has created hundreds of reviews and showed his face! Conclusion – Is Octane a Scam? No, it isn’t. Octane is a legit product that can be used for those who want to quickly create and live stream YouTube videos. However, there is a high level of hype around Octane and I don’t think you can go far by copying other people’s content. I always advocate against the use of shortcuts. In my opinion, the best strategy is to create valuable and original content. That’s how you can build trust over time, which can turn into a long-lasting internet business. The good news is that Octane has a 30-day money back guarantee, so if for some reason you don’t like the product, you can ask a refund with no questions asked. In 2015, I discovered an excellent educational platform that helped me build a lucrative website from scratch. I had zero experience in internet marketing, but their step by step training and helpful community helped me reach a consistent $1,000/mo. What made me join this program what that the owners, Kyle and Carson, didn’t promise me I would get fast results. Instead, they gave the proper education to build an internet business that is generating me great affiliate commissions for over 3 years. It’s a great place to build affiliate sites! But of course, there are no shortcuts so you will need to put in the work. Click the button below to learn more about this platform and my success story.